Three Vessels Amy Hughes shows new works made in collaboration with Phil Goss (Illustrator) and Jamie Jenkinson (video artist). Influenced by the form and décor of the vessels, hidden interior imagery becomes visible when viewed through the lens of a smart phone. 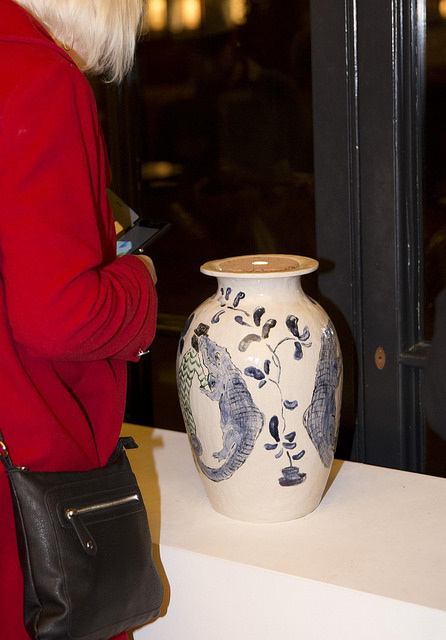 Vase en Vogue Following on from her V & A residency, ceramicist Amy Jayne Hughes invites you to take up your place alongside her work created during that time. Returning to and revamping the time when the Vase was the height of fashion, Amy recreates a Joshua Reynolds inspired scene for visitors to step into. Dress up, smile for the camera, illustrating a new place in contemporary culture for the style icon once more. Heavy Space Utilisation Matthew Raw shows new contemporary ceramic and resin mosaic work made in collaboration with Thom Swann. The piece challenges the uncreative managerialism rife in current arts education policy and the loss of craft skills as a result. 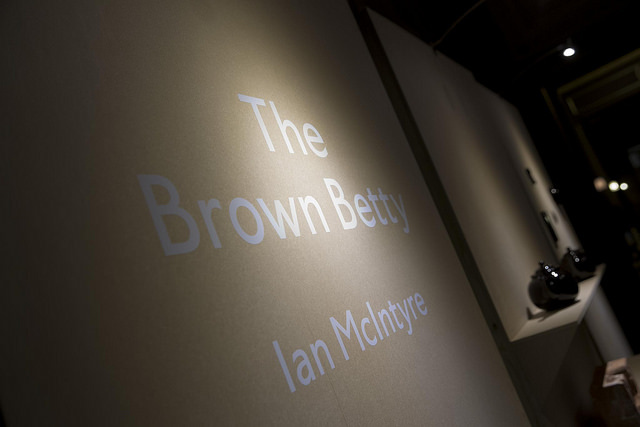 Icon Ian McIntyre documents the essential features and qualities that make the Brown Betty teapot a design icon. Following his residency at AirSpace Gallery, Stoke-on-Trent, Ian looks at and speaks about the history and evolution of the teapot and the role of the Designer.